These courses are designed for private boaters that want to gain rowing skills to eventually take their own boat out on fun trips. Basic maneuvers, rigging a boat, and reading water are some of the skills that will be covered. We even offer an overnight component that will teach you everything you need to know about packing and planning for multi-day trips on your boat. Private instruction available anytime, year round. Start with a basic introduction to rigging your boat, then head to the lake to learn basic strokes and concepts. An introduction to current with maneuvers like eddy catching, peel outs, and ferries. A fun day on the river learning to read water and navigate through rock gardens and basic rapids. Time to put your skills to the test and start running steeper drops and harder moves. An introduction to river rescue and safety techniques. Practice with basic skills like throw bagging and aggressive swimming. An all-inclusive overnight paddle trip designed for intermediate paddlers. 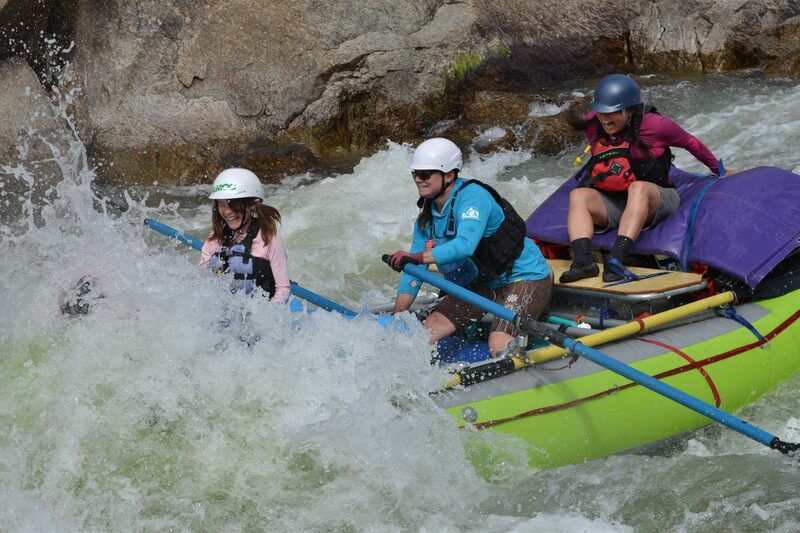 Enjoy 25 miles of class II-III whitewater on the scenic Arkansas River with riverside camping. A great way to meet new friends and relax on the river.